Taco Bueno Completes Sale to Sun Holdings, Inc.
Dallas, TX (RestaurantNews.com) Taco Bueno Restaurants LP (“Taco Bueno”, or “the Company”) today announced that it has completed its sale to Taco Supremo, LLC, an affiliate of Sun Holdings, Inc. (“Sun Holdings”), and has successfully emerged from its court-supervised financial restructuring. Through the restructuring process, Taco Bueno has substantially improved its financial position and established a sustainable capital structure. Sun Holdings is a multi-concept franchisee based in Dallas, Texas, with more than 800 locations across eight states that also includes Burger King, Popeyes, Arby’s, Golden Corral, Cici’s Pizza, Krispy Kreme, GNC and T-Mobile. With more than 20 years of operating experience and expertise in quick service restaurants, Sun Holdings intends to invest in remodeling Taco Bueno locations and other brand initiatives to enhance the customer experience. Taco Bueno’s plan of reorganization was confirmed by the U.S. Bankruptcy Court for the Northern District of Texas on December 31, 2018. Vinson & Elkins LLP is serving as the Company’s legal advisor, Houlihan Lokey is serving as its financial advisor, Berkeley Research Group is serving as its restructuring advisor, and JLL is serving as its real estate advisor. Taco Bueno is committed to providing an authentic, better-tasting Tex-Mex experience through made-fresh-daily preparations, hand-selected ingredients, and genuine, friendly hospitality. Founded in 1967 in Abilene, TX, Taco Bueno is a privately held company that operates more than 145 restaurants throughout the American South and Southwest – including Arkansas, Oklahoma and Texas. 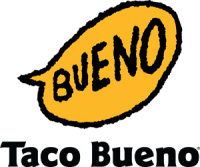 To learn more about Taco Bueno, please visit www.TacoBueno.com or www.facebook.com/BuenoHeadquarters. Sun Holdings, Inc. is a national holdings group headquartered in Dallas, Texas, that owns and operates a portfolio of more than 800 locations in eight states. Sun Holdings has been ranked the 4th largest franchisee in the U.S. by Mega 99 2018 Rankings, and the Largest Hispanic Franchisee in the U.S. The organization operates 296 Burger King, 145 Popeyes, 87 Arby’s, 21 Golden Corral, 32 Cici’s Pizza, 18 Krispy Kreme, 135 T-Mobile, and 84 GNC locations, as well as 3 restaurants in various airports and approximately 160 real estate units. For more information, please visit http://www.sunholdings.net. The ONE Group Hospitality, Inc. (NASDAQ: STKS) yesterday announced preliminary sales for the fourth quarter and full year ended December 31, 2018. The Company also announced its participation at the 21st Annual ICR Conference next week. Domestic comparable sales* at owned and managed STK restaurants rose 15.0% from the prior year period, consisting of a 14.9% increase in domestic owned restaurants and a 15.6% increase in domestic managed restaurants. US STK brand restaurant sales rose to a record $101 million. *Comparable sales or same store sales (“SSS”) represents total US food and beverage sales at owned and managed units opened for at least a full 18-month period. This metric includes total revenue from our owned and managed STK locations. Revenues from locations where we do not directly control the event sales force (The W Hotel, Westwood, CA and our locations in Europe) are excluded from this metric. Preliminary results remain subject to the completion of normal quarter and year-end accounting procedures and adjustments and are subject to change. The Company expects to release financial and operating results for its fourth quarter and full year ended December 31, 2018 in March 2019. Mr. Hilario and Linda Siluk, Interim Chief Financial Officer, will present at the 21st Annual ICR Conference at the Grande Lakes Hotel & Resort in Orlando, FL at 1:30 PM Eastern Time on January 15, 2019. The ONE Group (NASDAQ: STKS) is a global hospitality company that develops and operates upscale, high-energy restaurants and lounges and provides hospitality management services for hotels, casinos and other high-end venues nationally and internationally. The ONE Group’s primary restaurant brand is STK, a modern twist on the American steakhouse concept with locations in major metropolitan cities throughout the U.S., Europe, Mexico, and the Middle East. ONE Hospitality, The ONE Group’s food and beverage hospitality services business, provides the development, management and operations for premier restaurants and turn-key food and beverage services in high-end hotels and casinos. DENVER–(BUSINESS WIRE)–Good Times Restaurants Inc. (Nasdaq: GTIM), operator of Bad Daddy’s Burger Bar, a full-service, upscale burger bar concept and Good Times Burgers & Frozen Custard, a regional quick-service restaurant chain focused on fresh, high-quality, all-natural products, today announced that same store sales at its Bad Daddy’s concept increased 0.2% during the quarter over the prior year’s increase of 0.7%, which includes the loss of approximately ten store days due to the snow storm in North Carolina. Same store sales for its Good Times’ brand decreased 5.2% in its fiscal first quarter ended December 25, 2018 over the prior year’s increase of 5.9%. About Good Times Restaurants Inc.: Good Times Restaurants Inc. (GTIM) owns, operates, franchises and licenses 35 Bad Daddy’s Burger Bar restaurants through its wholly-owned subsidiaries. Bad Daddy’s Burger Bar is a full-service, upscale, “small box” restaurant concept featuring a chef-driven menu of gourmet signature burgers, chopped salads, appetizers and sandwiches with a full bar and a focus on a selection of craft microbrew beers in a high-energy atmosphere that appeals to a broad consumer base. Additionally, through its wholly-owned subsidiaries, Good Times Restaurants Inc. operates and franchises a regional quick-service restaurant chain consisting of 35 Good Times Burgers & Frozen Custard restaurants, located primarily in Colorado. Good Times Forward-Looking Statements: This press release contains forward-looking statements within the meaning of federal securities laws. The words “intend,” “may,” “believe,” “will,” “should,” “anticipate,” “expect,” “seek” and similar expressions are intended to identify forward looking statements. These statements involve known and unknown risks, which may cause the Company’s actual results to differ materially from results expressed or implied by the forward-looking statements. These risks include such factors as the uncertain nature of current restaurant development plans and the ability to implement those plans and integrate new restaurants, delays in developing and opening new restaurants because of weather, local permitting or other reasons, increased competition, cost increases or shortages in raw food products, and other matters discussed under the “Risk Factors” section of Good Times’ Annual Report on Form 10-K for the fiscal year ended September 25, 2018 filed with the SEC. Although Good Times may from time to time voluntarily update its forward-looking statements, it disclaims any commitment to do so except as required by securities laws. Gigi’s Cupcakes has filed for Chapter 11 bankruptcy. The cupcake chain filed for reorganization on Jan. 4 in Texas Northern Bankruptcy Court with liabilities ranging from $1 million to $10 million,according to reports. Gigi’s is an affiliate of FundCorp, a Texas-based private equity group. Its filing asks that the bankruptcy be combined with another FundCorp affiliate, Sovrano, operators of Mr. Gatti’s Pizza, which has also filed for bankruptcy protection. The filing noted the chain had closed “several” locations in recent months but continued to operate “under-performing” sites. 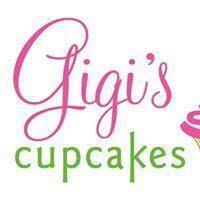 Gigi’s has Alabama locations in Huntsville, Hoover, Tuscaloosa, Opelika and Montgomery. Jennifer Cooper, operator of the Gigi’s in Opelika and Montgomery said her stores operations are continuing without disruption. FundCorp acquired Gigi’s in 2016, moving its corporate offices from Nashville to Fort Worth. The company was founded in 2008 by Gina “Gigi” Butler of Nashville and, at one time, had more than 100 locations across the U.S.
NEW CANAAN, Conn., Jan. 8, 2019 /PRNewswire/ — J.H. Whitney Capital Partners, LLC is pleased to announce that it has acquired a majority interest in Firebirds International, LLC (“Firebirds Wood Fired Grill” or the “Company”) from Angelo, Gordon & Co., L.P. (“Angelo Gordon“). California-based NorthPoint Advisors served as financial advisor to Firebirds. Kirkland & Ellis LLP served as legal advisor to J.H. Whitney. Financial terms of the transaction were not disclosed. Charlotte, N.C.-based Firebirds Wood Fired Grill is a contemporary-polished casual restaurant with 48 locations throughout the U.S. and is known for its authentic wood fired entrees infused with bold flavors, fresh herbs and spices. This year, Firebirds was named one of America’s Top 50 Emerging Restaurant Chains by FSR Magazine and one of Nation’s Restaurant News’ “Next Gen Top 20.” Firebirds has a history of outperforming industry SSS and AUV benchmarks with proven success across different markets and plans to accelerate its growth across the continental United States with the support of J.H. Whitney. Firebirds’ CEO Mark Eason, a highly regarded restaurant industry veteran with nearly 40 years of experience, will continue in his current role. Founded in 2000, Firebirds Wood Fired Grill offers guests a unique dining experience featuring an exposed kitchen with its signature wood-burning grill, and its award-winning FIREBAR®. The restaurant is known for its welcoming décor and expertly seasoned wood-grilled steaks, freshly grilled seafood, gourmet burgers and oversized salads, as well as an extensive menu of seasonal cocktails and fine wine. For more information about Firebirds Wood Fired Grill, visit https://www.firebirdsinternational.com. J.H. Whitney, established in 1946 by industrialist and philanthropist, John Hay “Jock” Whitney, was one of the first U.S. private equity firms and is often credited with pioneering the development of the private equity industry. Today, J.H. Whitney remains privately owned by its investing professionals and its main activity is to provide private equity capital to small and middle market companies with strong growth prospects in a number of industries including consumer, healthcare, and specialty manufacturing. Visit: http://www.whitney.com. Firebirds Wood Fired Grill, a contemporary-polished casual restaurant, is an energetic twist on the traditional grill featuring a boldly flavored, classic American menu in an inviting, fire-centric atmosphere. Signature menu items include hand-cut, aged steaks and fresh seafood hand-fileted in-house and seared over locally sourced hickory, oak or pecan wood in Firebirds’ scratch kitchen and exposed wood-fired grill. The open, stylish, enticing décor incorporates wood-fired themes and entertaining spaces, such as the outdoor patio with seasonal comforts and the award-winning FIREBAR®. Popular specialties include Wine Down Mondays, happy hour, artisan cocktails, craft beer, bourbon, after dinner drinks and Firebirds’ private label wine. In keeping with its mission, “To Serve, Enrich and Exceed,” Firebirds supports ever-growing sustainability efforts throughout its restaurants and partners with Alex’s Lemonade Stand Foundation, with more than $1.4 million raised for childhood cancer research through the sale of fresh-squeezed lemonade. Visit firebirdsrestaurants.com to become a member of Firebirds’ Inner Circle, make an OpenTable reservation or order ToGo online. Total revenues for the three-month period ended September 29, 2018 were $40,562,000 versus $39,467,000 for the three months ended September 30, 2017. 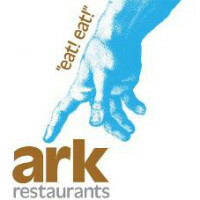 Ark Restaurants Corp. (NASDAQ:ARKR) today reported financial results for the fourth quarter and fiscal year ended September 29, 2018. Total revenues for the year ended September 29, 2018 were $159,990,000 versus $153,877,000 for the year ended September 30, 2017. The year ended September 29, 2018 includes revenues of $10,141,000 related to Sequoia DC versus $4,409,000 for the year ended September 30, 2017. Sequoia DC was closed for renovation for the entire second quarter and third quarters of 2017. The year ended September 30, 2017 includes revenues of $3,867,000 related to three properties that were closed prior to fiscal 2018. Company-wide same store sales increased 1.7% for the three-month period ended September 29, 2018 compared to the same three month period last year. The Company’s EBITDA from restaurant operations, adjusted for non-controlling interests and non-cash stock option expense, for the three-month period ended September 29, 2018 was $2,120,000 versus $2,880,000 during the same three-month period last year. The Company’s EBITDA from restaurant operations, adjusted for non-controlling interests and non-cash stock option expense, for the year ended September 29, 2018 was $9,735,000 versus $9,194,000 last year. EBITDA from restaurant operations for the year ended September 30, 2017 excludes a gain of $1,637,000 recognized in connection with the sale of real estate. Net income for the three-month period ended September 29, 2018 was $1,007,000 or $0.29 per basic share, $0.28 per diluted share, compared to $1,311,000 or $0.38 per basic, $0.37 per diluted share, for the same three-month period last year. Net income for the year ended September 29, 2018 was $4,655,000 or $1.35 per basic, $1.31 per diluted share, compared to $4,039,000, or $1.18 per basic share, $1.14 per diluted share, last year. Peet’s Coffee today announced that it has acquired a majority stake in Revive Kombucha, a craft brewery based in Petaluma, California. Terms of the transaction were not disclosed. Peet’s expects to expand the Revive market reach in on-premise, grocery and Peet’s coffeebar locations. The inherent match of delivering Revive across consumer facing Peet’s channels will strengthen and accelerate the growth of its pioneering chilled beverage portfolio. Sean J. Lovett and Rebekah Lovett, co-founder, will maintain their equity and leadership positions at the company, while also maintaining the brand’s innovative approach to batch brewing and natural fermentation methods.